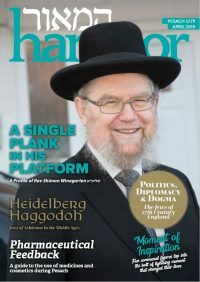 The Rosh Beis Din of the Federation, Dayan Yisroel Yaakov Lichtenstein, has announced his intention to retire from the organisation within the next year, thus ensuring sufficient time for a successful handover. Some 25 Dayonim and Rabbonim attended a practical halocho shiur on the topic of sofrus, presented by the rav of Ilford Federation, Rabbi David Singer. 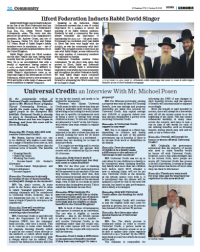 Rabbi Singer is an expert sofer who has trained numerous sofrim and magi’im both in the UK and Eretz Yisroel and is frequently called upon to answer shailos in this area. A gadget which helps resolve the problem of opening oven doors on Shabbos has been launched by FedTech, the Federation Beis Din’s department for Technology and Halocho. The custom-designed ‘indicator light kit’ is a small device that has been manufactured with the specific goal of resolving the Shemiras Shabbos concerns. 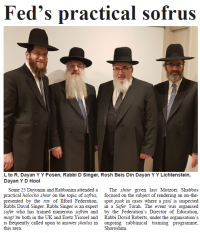 The Federation of Synagogues has launched an exciting new education programme based on the halochos of Choshen Mishpot. Entitled Mishpot Votzedek, it has the goal of raising kehillah awareness of these laws and their practical application in today’s ever-evolving world of business, finance and commerce. 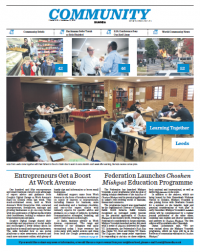 The Federation has launched Mishpot Votzedek, a new programme with the goal of raising kehillah awareness of the halachos of Choshen Mishpat and its practical application in today’s ever-evolving world of business, finance and commerce. 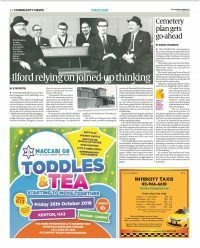 Rabbi David Singer was inducted as minister of Ilford Federation Synagogue in the presence of leaders of the movement. He joined the congregation after Pesach, having previously served the Belfast community. 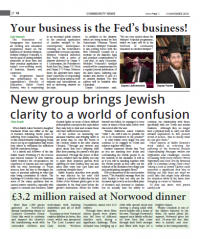 Rabbi David Singer was formally inducted as the Rav of the Ilford Federation shul last Sunday, in the presence of the Federation’s Rosh Beis Din, Dayan Yisroel Yaakov Lichtenstein, shlita. The event was also graced by the presence of the organisation’s president, Mr. Andrew Cohen, and two of its Dayanim, Dayan Y.D. Hool and Dayan Y.Y. Posen. 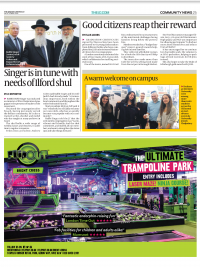 Many of Rabbi Singer’s family members were in attendance, too — two of his children and several grandchildren live in the United Kingdom. The Federation has received the green light to proceed with developments to its cemetery site in Edgware after Mayor of London reportedly affirmed Barnet Council's decision.